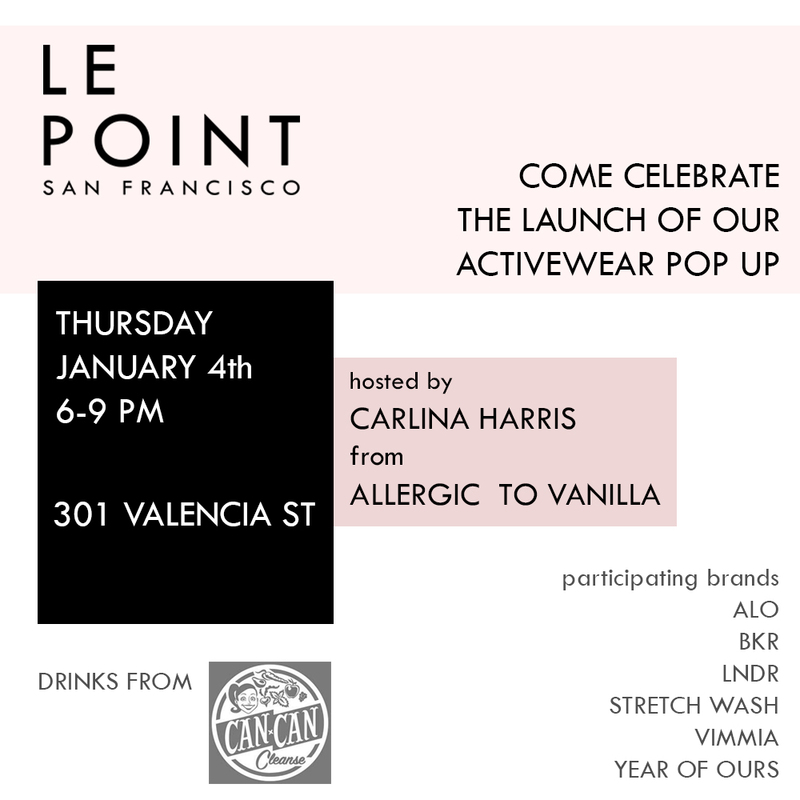 Allergic to Vanilla: Hey SF, Come hang out with me at Le Point! Hey friends, if you are in SF come visit me at Le Point in the Mission tomorrow from 6-9pm. It's time to get our New Year health and fitness resolutions in order and we can get it done together tomorrow night and shop the chicest workout gear I've seen in a very long time. Brands like Alo, bkr, Lndr, Stretch Wash and Vimmia will be available for purchase only during the month of January starting tomorrow at the Le Point shop. Can-Can will be pouring healthy juices and there will be a store-wide discount and goodie bags (filled with workout classes none-the-less) with any purchase from the pop-up. Will I see you there?